The buyer of bankrupt Saab completed the deal to acquire most of its assets in a step that advanced its plans to make electric vehicles but said it would not be able to use the Swedish automaker's distinctive griffin head logo. Saab, which has been making cars since 1947, crashed into bankruptcy at the end of 2011, less than two years after General Motors sold it to Dutch sportscar group Spyker. Buyer National Electric Vehicle Sweden AB (NEVS), whose electric vehicles will be based on Saab cars, said completion of the purchase would speed up the process toward the start of production. 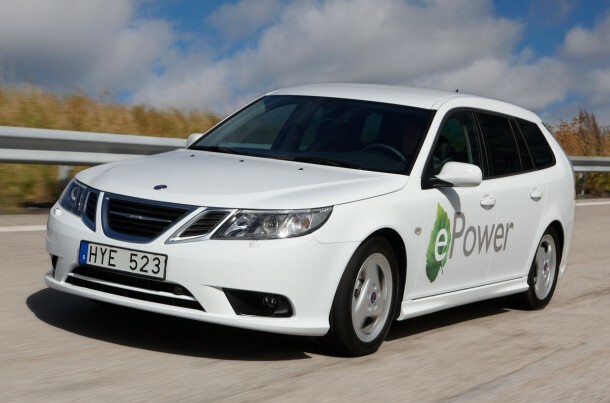 "In approximately 18 months, we plan to introduce our first electric vehicle based on Saab 9-3 technologies and a new technology electric powertrain," Karl-Erling Trogen, NEVS chairman, said in a statement on Monday. NEVS aims to make cars for the Chinese market as it sees the authorities there investing heavily in electric vehicles. The finalisation of the deal, including the main production plant, came after NEVS agreed with truck maker Scania and defence and aerospace group Saab not to use the griffin symbol, though it can use the name Saab. The brand had been owned by the three companies, which in the past were one company. NEVS is wholly owned by National Modern Energy Holdings Ltd., whose founder and principal owner is Chinese-Swedish businessman Kai Johan Jiang. "Engineering and development of our first electric vehicle has been underway for an extended period in China and Japan, and now with the manufacturing facilities in our possession, we are able to continue development work on site at Trollhattan (the Saab plant)," Jiang said in a statement. Despite its admired brand and a loyal fanbase, Saab had struggled for years to survive against bigger competitors. Spyker bought the carmaker in early 2010 but soon hit financing problems and spent months stitching together deals with Chinese companies. GM, which retained licensing rights and operates in China in a partnership with state-run automaker SAIC Motor Corp Ltd , late last year effectively blocked deals with other Chinese companies. Spyker has filed to sue GM for $3 billion, saying it deliberately let Saab go under. GM has rejected the allegation. Spyker has also struck a deal with a would-be Saab investor, Zhejiang Youngman Passenger Car Group, to make upmarket cars based on a platform and technology developed for Saab.